At some point in their careers, most journalists come across a story that deserves more space and attention than the assignment permits, a story they can’t stop thinking about long after the article has been written. For Camille Pendley, a freelance contributor to Atlanta magazine, Creative Loafing, the Washington Post, and other publications, that story was the plight of the residents of Vine City and English Avenue, two of the city’s poorest neighborhoods—which sit across the street from the country’s newest and grandest cathedral to sports, the Mercedes-Benz Stadium. “It was clear that residents’ perspectives were not being reflected” in most news coverage, she says. So Pendley made a movie. 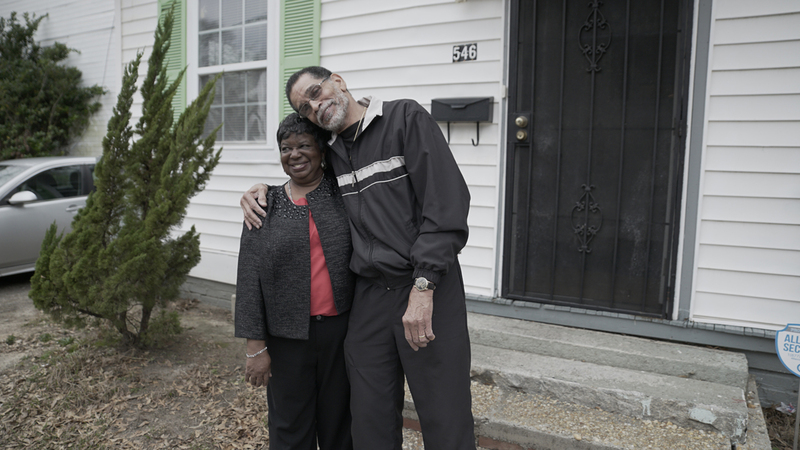 Part community portrait, part economic justice polemic, The Home Team had its public premiere on January 31—just in time for Super Bowl LIII. The 45-minute film enjoyed a friendly reception at Landmark Midtown Art Cinema before an audience that included crew members and some of the movie’s subjects, as well as a number of local politicians. Pendley says she decided early on that this story needed to be told in film rather than her usual medium of print because the neighborhoods are so visually rich. It was important for her to allow the neighbors to speak in their own words. 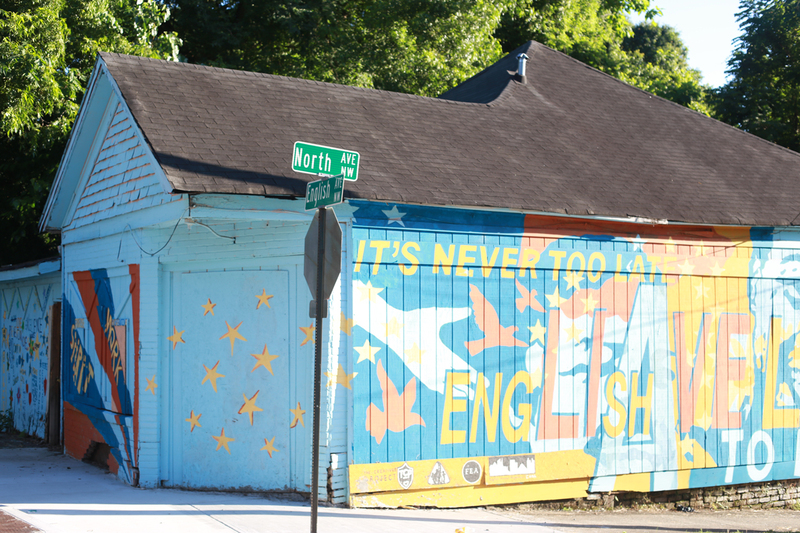 Access to the community came via producer Tracy Bates, president of the Historic Westside Cultural Arts Council and a longtime neighborhood resident. After Pendley recruited filmmaker Laura Asherman as co-director in 2016, the two spent two years shooting the movie mostly on consumer-grade DSLR cameras, although high-end equipment was used for some of the interviews. Kendall, the lawyer, funded the editing and post-production costs. The film has sharp lighting and lots of slow-motion pans contrasting the ramshackle homes and fancy stadium. But Pendley doesn’t want to reveal the budget. “I’ll just say it was as bare-bones as possible while still giving us the stylistic look we were going for,” she says. By employing a cinéma vérité style that eschews an omniscient narrator, the movie leaves some aspects of the story unexplained. It doesn’t dig deep into the work of the Blank Family Foundation, the Westside Future Fund, and other nonprofits that are dedicating tens of millions of dollars on job training, affordable housing, and neighborhood revitalization. Nor does it mention, when making the case that the Falcons should pay property taxes, that SunTrust Park and a number of other venues around the country have been financed in similar fashion, a fact that suggests the local lawsuit faces long odds. 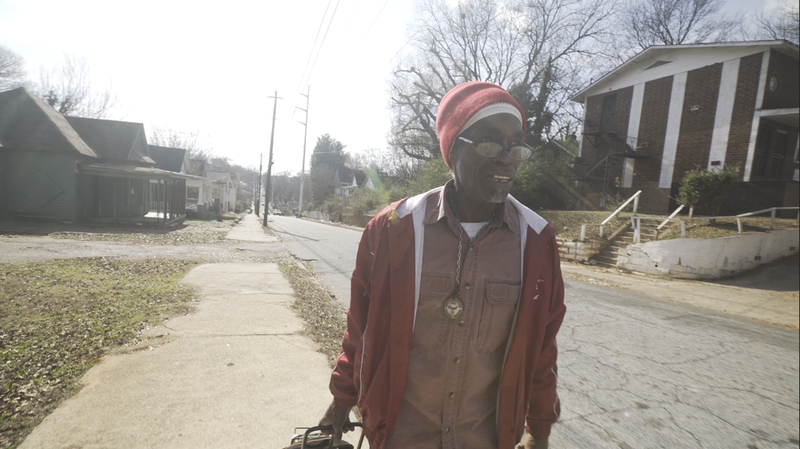 But Pendley says her primary goal in making the film was to show where the city has placed its priorities—and to educate Atlantans about a struggling community they may not know much about. From here, she’s submitting it to film festivals in the hope that a story about a new stadium’s impact on its community could have national appeal. To find out about upcoming screenings, go to thehometeamfilm.com.